A delegation of Honduran religious leaders and human rights defenders conclude a 10-city US speaking tour in Washington, DC this Friday, May 18 to raise awareness on, and generate faith-based solidarity for, Honduras. 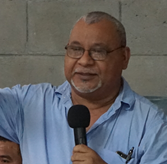 In late January, fifty U.S. faith leaders embarked on an Emergency Religious Delegation to Honduras, organized by SHARE, in response to a request from Honduran Jesuit Ismael Moreno (Padre Melo), who himself received three new death threats in the post-election period. Read the Honduran Delegation Report. All events on Friday, May 18 are free and open to the public. Contact Jean Stokan at jstokan@sistersofmercy.org or 202-841-6354 for more information or if you have any questions. What: Brown Bag Lunch & Presentation, "Hope in the Midst of Honduras' Crisis"
Jesuit Rev. 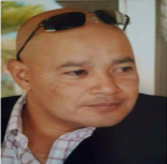 Ismael Moreno (Padre Melo), is an Afro-descendant Jesuit priest, who has, for the last 20 years, been the leader of Radio Progreso and ERIC, both social action projects of the Society of Jesus in Honduras. 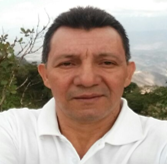 For his work, Padre Melo and his colleagues have received numerous death threats and he is number two on a recently published assassination list of 13 social justice leaders. 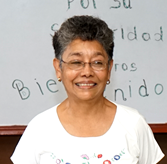 Sister Rosa Maria Trochez, SSND is a women religious member of the Congregation of the School Sisters of Notre Dame and human rights defender. In 1975, while serving in the Catholic Parish of Juticalpa, she witnessed one of the worst massacres in the history of Honduras by the US-trained Honduran military. 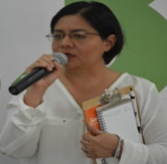 Karla Rivas is a Honduran journalist who coordinated the news department of Radio Progreso from 2002 to 2012, and is part of the ERIC team (Reflection, Investigation and Communication). She currently coordinates the Jesuit Migration Network in Honduras. 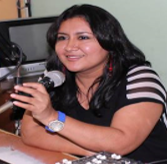 Dunia Pérez is a Honduran feminist, human rights defender and attorney with ERIC and Radio Progreso. In the area of Investigation and Human Rights, she accompanies and defends victims within the Inter American Human Rights System. Ely Castro Rosales is a human rights defender who joined the Movement of High School Students in defending human rights in the 1980s. During the US-backed and SOA graduate-led coup in 2009, Ely was involved with the National Front for Popular Resistance. In the struggles for constitutional integrity leading up to the 2017 elections, he became coordinator for the Convergence Against Continuation. Angel Adelso Reyes is the parish coordinator and president of the health committee of San Nicolás, Santa Barbara; Coordinator of the Multi-Sector Network of vulnerable groups in San Nicolás, Santa Barbara; and part of the group of Friends of Radio Progreso - ECOS - that supports the promotion of the radio. Events sponsored by SHARE in collaboration with American Friends Service Committee, Central American Resource Center (CARECEN), Columban Center for Advocacy and Outreach, Eighth Day Church, Franciscan Action Network, Jesuit Conference, Office of Justice and Ecology, Leadership Conference of Women Religious, Maryknoll Office of Global Concerns, National Advocacy Center of the Sisters of the Good Shepherd, Sisters of Mercy of the Americas, Sisters of St. Francis of Philadelphia, United Church of Christ - Justice and Witness Ministries. Special thanks for SOA Watch for gathering this information and photos of speakers.